Phoenix, AZ (January 23, 2019) – AdSport, a Phoenix-based full-service sports marketing consultancy, is ringing in 2019 with a new look for the agency that reflects its evolution after 25 years in business. The rebrand is a complete overhaul with a new logo, wordmark, and website. AdSport has enjoyed significant growth over the past decade while servicing some of the most recognizable brands in the country. Our 100 years of combined agency team experience in marketing, advertising, technology, sponsorship, and activation allows us to understand the sports fan, which then enables us to help clients advance their business goals. 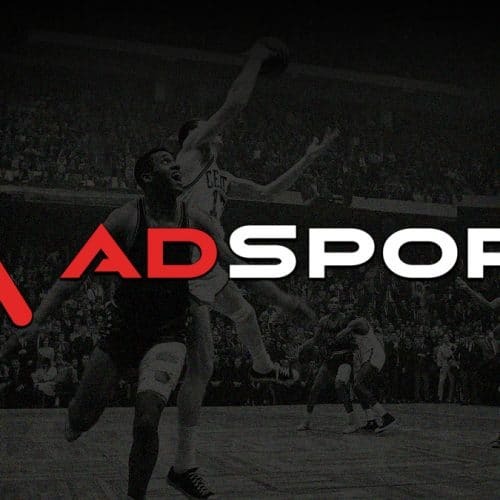 AdSport’s new look, while heavily influenced by the past, symbolizes the agency’s desire to modernize the brand and position the company for continued growth within the sports marketing industry. The new AdSport logo brings a sharp new visual identity, evolving from a two-toned word mark into a bold and dynamic icon that will be a robust identifiable mark moving forward. AdSport’s new site, www.adsport.com, utilizes responsive design and significantly improved the user experience. The functionality of the new site will better highlight the agency’s work, strategic approach, and offerings. Within the new website, AdSport will be focusing on offering thoughts on the latest news within the sports industry, marketing topics, and will even provide glances at what life is like at the AdSport office. Industry professionals can follow along at www.adsport.com/insights. AdSport is a full-service, independent sports sponsorship consultancy headquartered in Phoenix, AZ. The agency, founded in 1994, helps leading brands leverage the power of sports to tap into the passion and loyalty that brands want from an audience. For more information, please visit www.adsport.com.